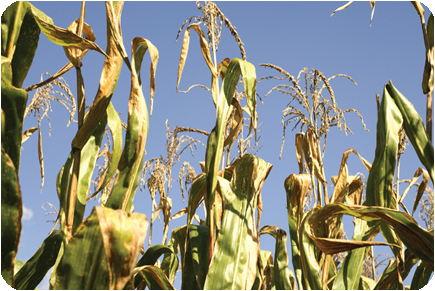 Cornstalks may not be the first thing that comes to mind for keeping rural roads clear in the winter. But when stalks near roadsides are left standing after fall harvest, they become a living snow fence, reducing the amount of snow blowing onto roads. To help determine reimbursement costs for farmers and choose which roads are good candidates, the Minnesota Department of Transportation (MnDOT) uses a snow control cost/benefit tool developed by University of Minnesota researchers. Does the variable speed limit system on I-94 reduce crashes? Two years ago, the Minnesota Department of Transportation (MnDOT) installed a series of electronic speed limit advisory signs over I-94 between Minneapolis and St. Paul. The variable speed limit (VSL) system is designed to reduce congestion and help prevent crashes by recommending lower speed limits to drivers during periods of high traffic. Although the verdict on the system’s effects on I-94 congestion is still pending, a recent study by researchers at the U of M’s Minnesota Traffic Observatory found that the VSL system has not made a measurable impact on crashes in a crash-prone stretch of freeway in downtown Minneapolis. 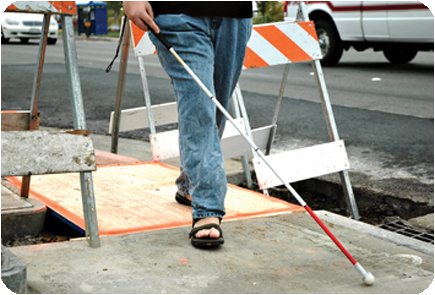 Navigating sidewalks and intersections affected by road construction can be challenging for all pedestrians, but it’s especially difficult for those who are blind or visually impaired. To help these pedestrians find their way safely, U of M researchers have developed a smartphone app that can detect upcoming work zones and provide routing instructions. The project, funded by the Minnesota Department of Transportation (MnDOT), was led by senior systems engineer Chen-Fu Liao at the U’s Minnesota Traffic Observatory. While Minnesota has made much progress in reducing traffic fatalities, rural stop-controlled intersections remain an ongoing challenge. The Minnesota Department of Transportation launched the Rural Intersection Conflict Warning System deployment project in 2012 to work toward reducing crashes at such intersections. The three-year project will deploy intersection conflict warning systems at up to 50 rural stop-controlled intersections statewide. In a study evaluating the safety and mobility of Minnesota’s MnPASS lanes, researchers at the U of M’s Minnesota Traffic Observatory (MTO) found that facilities on I-35W and I-394 are performing equally well in spite of their different designs.